It all feels faintly familiar. There are the neutral textiles, the pale wood furniture, the green plants, the clean-lined gadgets and an aesthetic that is as calming as it is minimal. In short, it’s identical to the interior of a Muji store — except here, visitors can not only buy anything they see, they can also lock the door, run a bath and climb into bed for a good night’s sleep. Welcome to the world’s first Muji Hotel. This month, the Japanese company, long famed for its covetable contemporary lifestyle products, enabled fans of the brand to take a step closer to living the Muji dream by unveiling its first hotel. The inaugural hotel opened its doors in Shenzhen, one of China’s fastest growing cities, with a second following in Beijing in March and a third — Japan’s first — launching in Tokyo’s Ginza district in spring next year. The Japanese company has already created a range of Muji Houses as well as Muji Huts (plus pretty much everything you need to live inside them) — so perhaps it was only a matter of time before it branched out into hotels. The hotel, located in Shenzhen’s central Upper Hills neighborhood, is home to 79 guest rooms spanning the fourth to sixth floors, with materials recycled from the pillars and walls of traditional Chinese houses. Additional features include the Muji Diner restaurant, serving globally-inspired home cooking, a library called Muji Books with around 650 selected volumes, a gym and three spacious meeting rooms. Not to forget its vast Muji store — one of the biggest in China, which covers an impressive 1,726 square meters on the second and third floors, containing almost every home-comforts available to buy — from clothing to kettles. It’s little surprise that the aesthetic throughout the hotel is a perfect complement to the brand’s signature minimal Japanese style, which has won legions of admirers through its 870 stores across the globe. In addition to offering a soothing sanctuary, the new hotel is also reasonably priced: rates for five different room types range from 950 RMB (¥16,428) to 2,500 RMB (¥43,208), including breakfast. 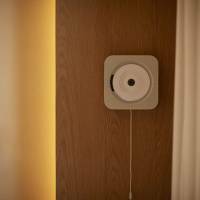 Perhaps best of all, however, is that everything on display in guestrooms is available to buy — from the award-winning Naoto Fukasawa-designed wall-mounted CD players (a deliciously analog touch in the normally high-tech hotel world) right down to the toothbrush holder. China has emerged as Japan’s largest overseas market in recent years for Muji and is already home to around 200 stores — nearly half of its 418 international stores. Shenzhen is famous for its rate of growth, having evolved from a fishing village to a futuristic 11.9 million-strong metropolis in just three decades. But ultimately, the hotel’s concept is about travel — and if successful, it’s perhaps not too farfetched to imagine them eventually opening not just in Japan and China, but cities around world. 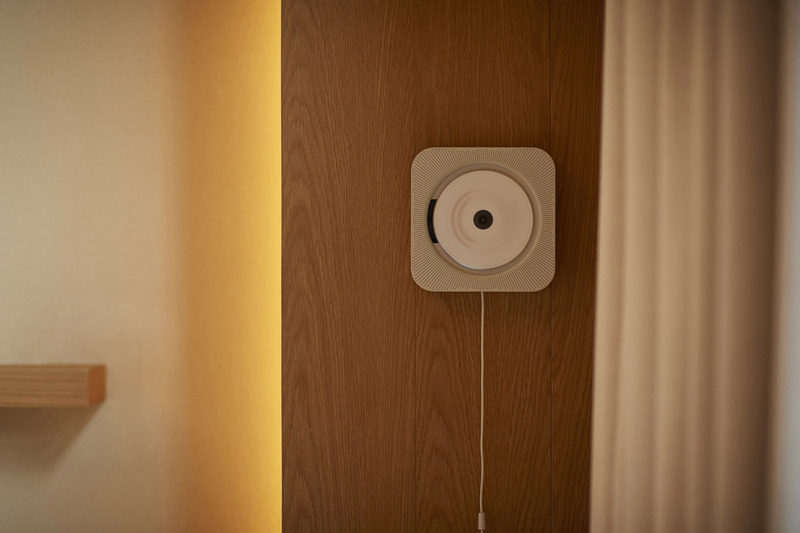 If you fall in love with something you see at the Muji Hotel, obtaining it is as easy as calling room service. Here are just a few items available to purchase.